This is my son’s favorite soup of all time and I wouldn’t feel right if I didn’t share the recipe with you guys. 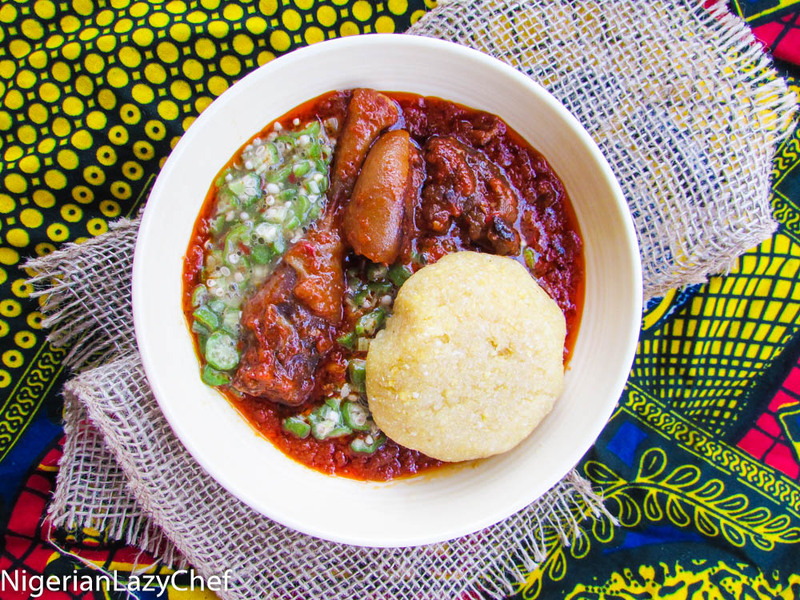 The red and green soup is a meal of simplicity and it’s made by mixing chopped okra with any type of Nigerian stew. I don’t know for sure the origin of this soup, but I have heard so far that it’s a Yoruba thing. I wouldn’t think other wise anyway; because a lot of the Yoruba type of recipes I’ve tried are usually stew or pepper based. This entry was posted in chicken stew, Eating Healthy, Fufu, gluten free nigerian recipes, Gluten free recipes, Healthy Nigerian, Healthy Nigerian Dishes, Nigerian soups, Nigerian Stew, Nigerian stews, Okra recipes, Sauces, Side dishes, Sides, Soups, stew, Stews, Uncategorized and tagged fried stew and okra recipe, fried stew and okra soup recipe, Nigerian food blog. 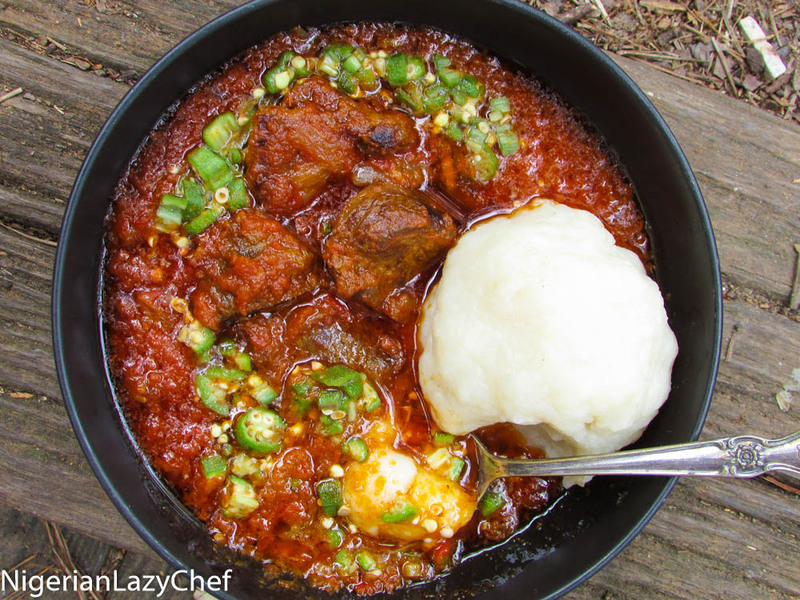 Nigerian stew, Nigerian fried stew and okra recipe, Okra and stew mix, Okra and stew recipe. Okra and stew, Okra recipes, stewed okra recipe. Always amazing info to be found on this blog!.